The face of the Old Town has preserved its incredible legacy of tottering Japanese merchant houses, Chinese temples and ancient tea warehouses – though, of course, residents and rice fields have been gradually replaced by tourist businesses. Lounge bars, boutique hotels, travel agents and a glut of tailor shops are very much part of the scene here. And yet, down by the market and over on Cam Nam Island, you’ll find life has changed little. Travel a few kilometres further – you’ll find some superb bicycle, motorbike and boat trips – and some of central Vietnam’s most enticingly laid-back scenery and beaches are within easy reach. Some roofs are made up of thousands of brick-coloured am and duong(yin and yang) roof tiles – so called because of the way the alternating rows of concave and convex tiles fit snugly together. During the rainy season the lichens and moss that live on the tiles spring to life, turning entire rooftops bright green. A number of Hoi An’s houses have round pieces of wood with an am–duong symbol in the middle surrounded by a spiral design over the doorway. These mat cua (door eyes) are supposed to protect the residents from harm. This small village has long been known for its pottery industry. Most villagers have switched from making bricks and tiles to making pots and souvenirs for tourist trades. The artisans employed in this painstaking work are happy just to show off their work, but prefer it if visitors buy something. There’s a 25,000d admission fee to the village. A trip to the Cham Islands is a superb excursion, and Hoi An’s two dive schools offer packages including overnight camping and diving trips. The diving is not world class, but can be intriguing. ‘White rose’ (banh vac) is an incredibly delicate, subtly flavoured shrimp dumpling topped with crispy onions. Banh bao is another steamed dumpling, this time with minced pork or chicken, onions, eggs and mushrooms, which is said to be derived from Chinese dim sum. Cao lauis an amazing dish: Japanese-style noodles seasoned with herbs, salad greens and bean sprouts, and served with slices of roast pork. 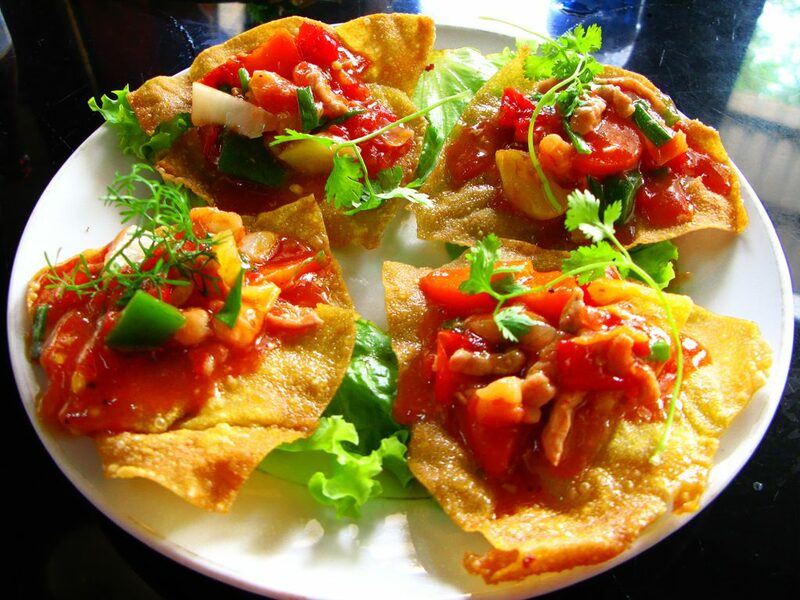 Other local specialities are fried hoanh thanh (wonton) and banh xeo (crispy savoury pancakes rolled with herbs in fresh rice paper). Most restaurants serve these items, but quality varies widely. 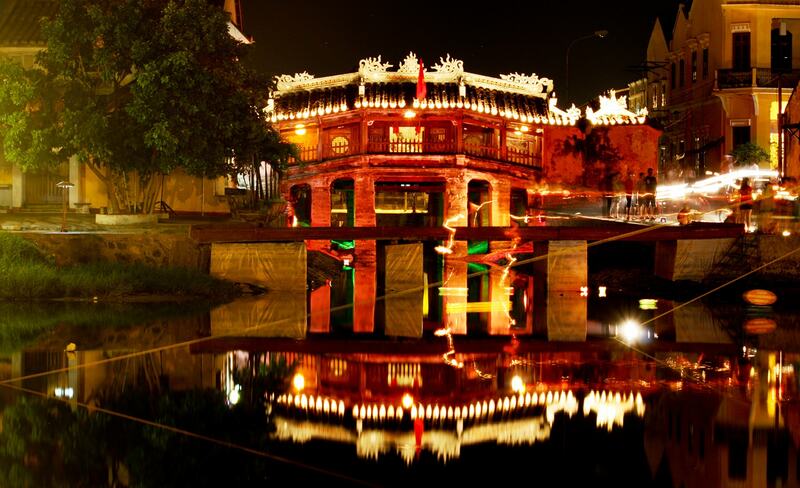 An Hoi, across the river from the Old Town, offers more raucous action. Happy hours keep costs down considerably, and most places close around 1am. The most popular spots in An Hoi change on a regular basis. Turn right after crossing the bridge from Hoi An, and you’ll soon see (and hear) where the backpacker action is currently happening along Ð Nguyen Phuc Chu. Clothes are the biggest shopping lure. 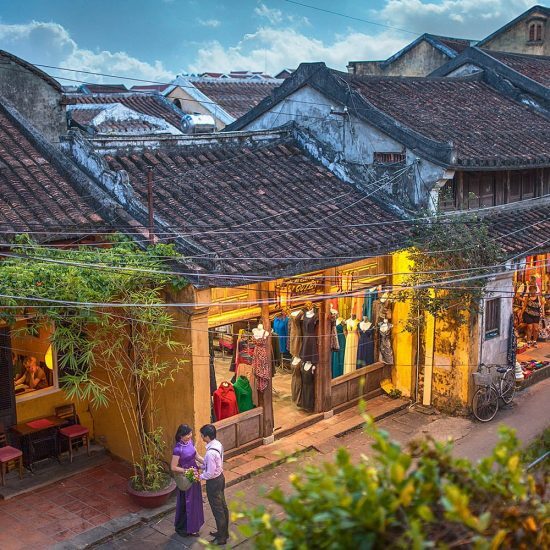 Hoi An has long been known for fabric production, and tourist demand has swiftly shoehorned many tailor shops into the tiny Old Town. Shoes, also copied from Western designs, and supposed ‘leather’ goods are also popular but quality is variable. Ð Phan Boi Chau east of Ð Hoang Dieu is developing as an arts precinct with galleries and a crafts museum. Look for the free map reinforcing the street as a ‘Rue des Arts’ and showcasing the neighbourhood’s French colonial heritage. It helps to know your fabrics and preferences, right down to details such as thread colour, linings and buttons. When buying silk, make sure it’s the real thing. The only real test is with a cigarette or match (synthetic fibres melt, silk burns). Similarly, don’t accept on face value that a fabric is 100% cotton or wool without giving it a good feel for the quality. Prices currently hover around US$25 for a man’s shirt, or US$50 for a cotton dress. If a suit costs around US$100, make sure the fabric and handiwork is up to scratch. A few of Hoi An’s tailors have now also diversified into making shoes and bags. See the Friendly Shop for good work that is guaranteed. The earliest evidence of human habitation here dates back 2200 years: excavated ceramic fragments are thought to belong to the late Iron Age Sa Huynh civilisation, which is related to the Dong Son culture of northern Vietnam. 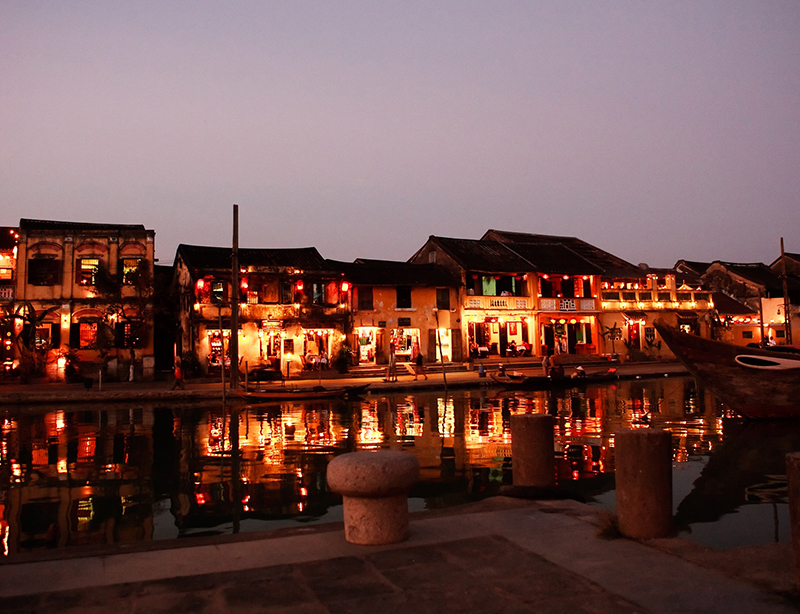 From the 2nd to the 10th centuries, this was a busy seaport of the Champa kingdom, and archaeologists have discovered the foundations of numerous Cham towers around Hoi An. In 1307 the Cham king presented Quang Nam province as a gift when he married a Vietnamese princess. When his successor refused to recognise the deal, fighting broke out and chaos reigned for the next century. By the 15th century, peace was restored, allowing commerce to resume. 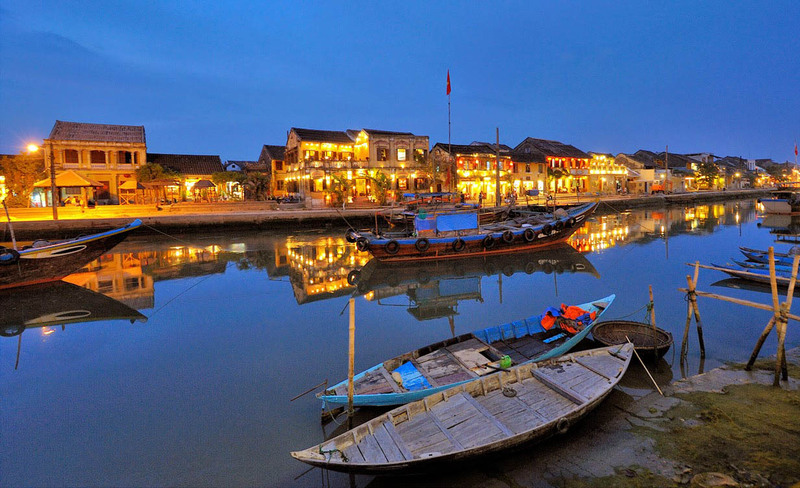 During the next four centuries, Hoi An – known as Faifoo to Western traders – was one of Southeast Asia’s major ports. Chinese, Japanese, Dutch, Portuguese, Spanish, Indian, Filipino, Indonesian, Thai, French, British and American ships came to call, and the town’s warehouses teemed with treasures: high-grade silk, fabrics, paper, porcelain, areca nuts, pepper, Chinese medicines, elephant tusks, beeswax, mother-of-pearl and lacquer. 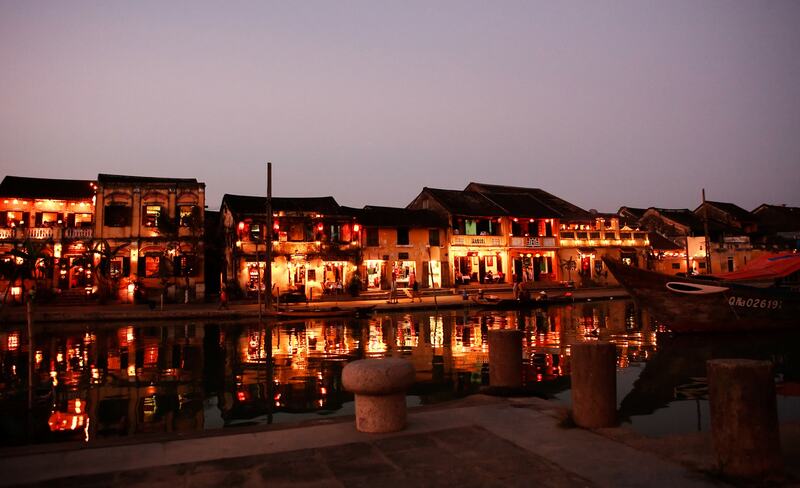 Chinese and Japanese traders left their mark on Hoi An. Both groups came in the spring, driven south by monsoon winds. 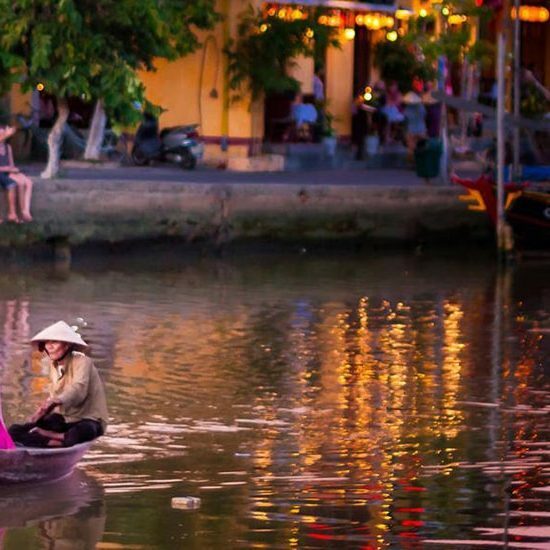 They would stay in Hoi An until the summer, when southerly winds would blow them home. 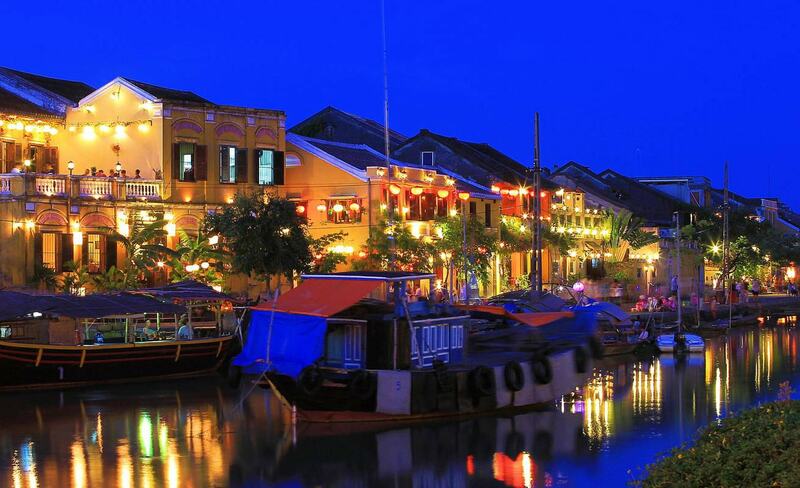 During their four-month sojourn in Hoi An, they rented waterfront houses for use as warehouses and living quarters. 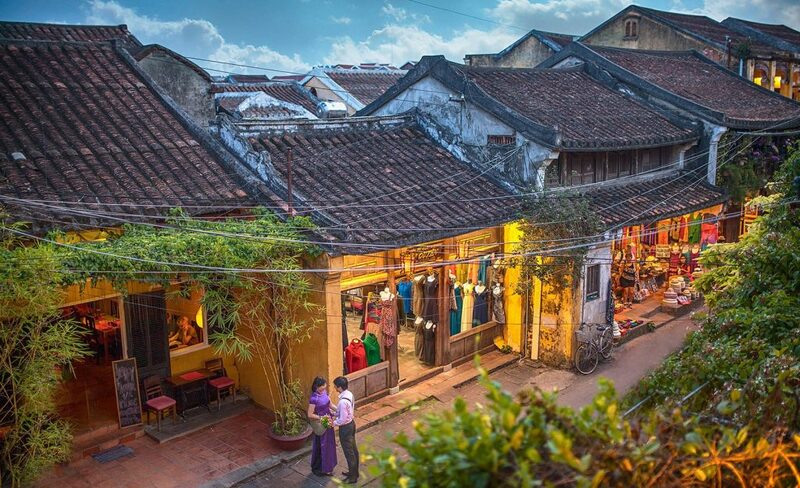 Some began leaving full-time agents in Hoi An to take care of their off-season business affairs. The Japanese ceased coming to Hoi An after 1637 (when the Japanese government forbade contact with the outside world), but the Chinese lingered. The town’s Chinese assembly halls still play a special role for southern Vietnam’s ethnic Chinese, some of whom come from all over the region to participate in congregation-wide celebrations. This was also the first place in Vietnam to be exposed to Christianity. Among the 17th-century missionary visitors was Alexandre de Rhodes, who devised the Latin-based quoc ngu script for the Vietnamese language. 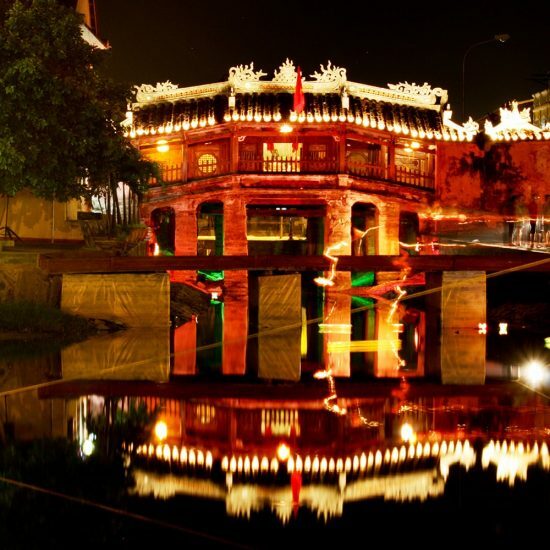 Although Hoi An was almost completely destroyed during the Tay Son Rebellion, it was rebuilt and continued to be an important port until the late 19th century, when the Thu Bon River silted up. 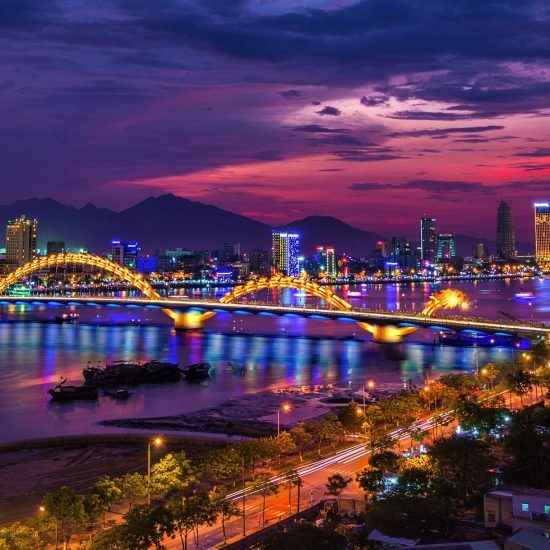 Danang (Tourane) took over as the region’s main port. 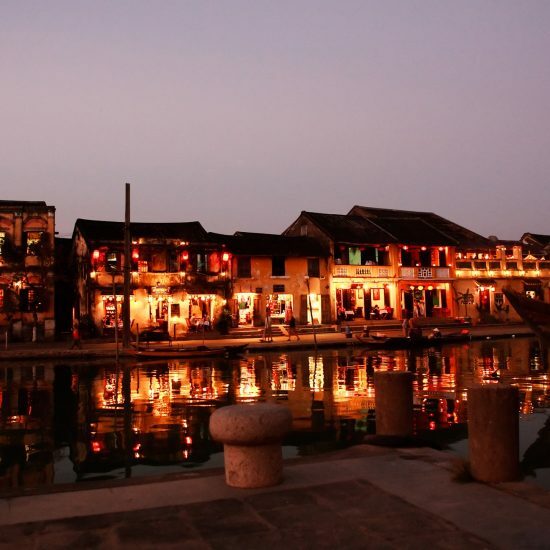 Under French rule, Hoi An served as an administrative centre. It was virtually untouched in the American War, thanks to the cooperation of both sides. Then in the 1990s, a tourism boom transformed the local economy. The town was declared a Unesco World Heritage site in 1999, and there are now very strict rules in place to safeguard the Old Town’s unique heritage. Today Hoi An’s economy is booming, and at times the Old Town can struggle to contain the sheer number of visitors. 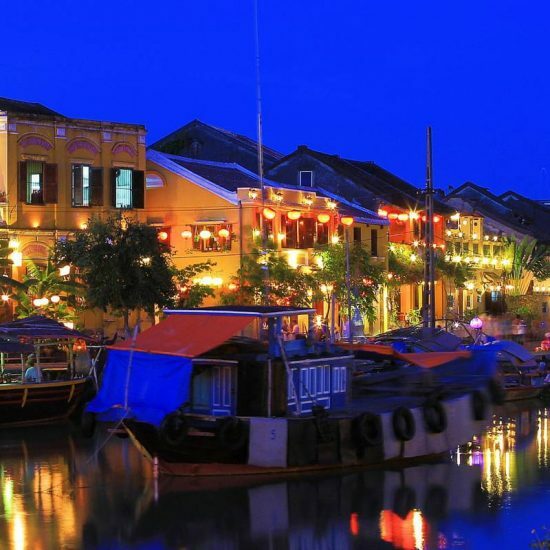 Many accommodation options have opened around the town’s periphery, as Hoi An expands to the fulfil the ever-hungry tourism sector. 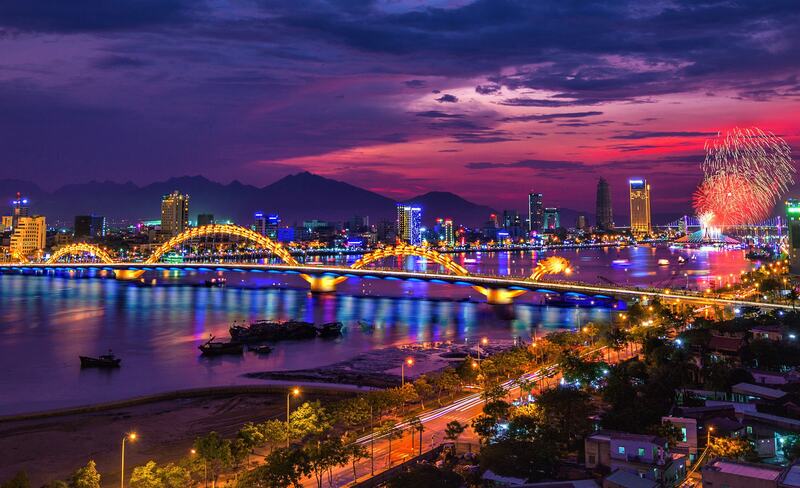 The closest airport is 45 to 60 minutes away in Danang. 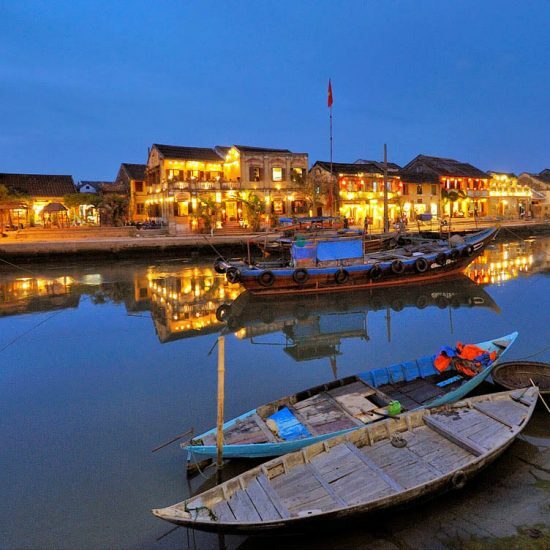 Most north–south bus services do not stop at Hoi An, as Hwy 1 passes 10km west of the town, but you can head for the town of Vinh Dien and flag down a bus there. More convenient open-tour buses offer regular connections for Hue and Nha Trang. For Danang (one hour), it is much more convenient to organise a bus (around 120,000d) to pick you up at your accommodation. Yellow buses to Danang (20,000d) leave from the northern bus station just off Ð Le Hong Phong, a 15-minute walk or 15,000d xe om from central Hoi An. Local bus drivers for Danang sometimes try to charge foreigners more, but the correct fare is posted by the door and it helps to have the correct change. Note the last bus back from Danang leaves around 6pm. Accommodation can book transfers to/from Danang airport and train station. To get to Danang (30km), head north out of town and join up with Hwy 1, or head east to Cua Dai Beach and follow the Danang Beach coastal road. Motorbikes charge about 180,000d for the trip to Danang. Taxis cost approximately 400,000d and are cheaper if you don’t use the meter. Negotiate a price first. A trip in a car to Hue starts from US$100 (depending on how many stops you plan to make along the way), while a half-day trip around the surrounding area, including My Son, is around US$60. A popular way to transfer between Hoi An and Hue is on a motorcycle. A bike with driver is around US$45, and around US$25 if you’re driving. Roadtrippers Vietnam offers jeep transfers from Hoi An to Hue – and vice versa – taking in the Hai Van Pass, and lunch and beach stops along the way. Prices include hotel pick-up and drop-off.